Cruise ships are like people. You click with them if they suit your particular personality. Or you don't click with them, despite recognising their qualities and attractiveness. Viking Star is for those who like blonde Scandinavians with brains. This is a ship of cool beauty, with a liking for intelligent conversation and classical music, a genuine interest in other cultures and enough confidence to forego bling and fussiness. 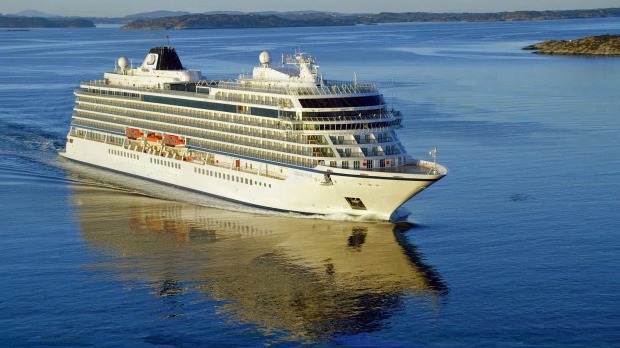 Such an agreeable personality ought to be cloned, so it's no surprise that the 930-passenger Viking Star, launched in 2015 as the first of Viking Cruises' ocean ships, is the near identical quadruplet of Viking Cruises' three other ocean-going vessels: Viking Sea, Viking Sky and the just-launched Viking Sun. No point in changing something almost universally admired. Besides, Viking chairman Torstein Hagen famously dislikes spending time making unimportant decisions. He doesn't change things that work. He always wears the same style of shirt and suit. He would eat his favourite food every day if he could: poached salmon with boiled potatoes and cucumber salad, topped with a cream-and-chive sauce. You can sample this traditional dish on board, as well as a fair number of other Norwegian dishes such as torsk (cod fillet with savoy cabbage and bacon in herb sauce), venison patties, smørbrød open sandwiches and krumkaker butter biscuits. Viking Star's main restaurant also always offers a regional tasting menu, and on a Norwegian cruise that means chilled cod salad with fingerling potatoes and pickles, followed by meatball gratin in creamy white wine sauce, and a Mazarin almond cake with apple compote. You won't find any foam, sprinkled flower petals or pretensions here. Quality ingredients are allowed to speak for themselves. Recipes are mostly traditional pan-European, veering more towards the rustic rather than highfalutin. If you want to discuss a menu in French, pick micro-herbs out of your teeth or eat a dessert that looks like a Jackson Pollock painting on a plate, then you're on the wrong ship. Nor will a butler in white gloves be serving afternoon tea in a gloomy, curtain-draped lounge inspired by the Addams Family mansion. Still, you can bet the scones served mid-afternoon in Viking Star's light-filled Wintergarden are better than most, as is the smiling, informal service. Waiters are almost invariably relaxed, attentive and agreeable, despite gratuities being included in Viking's cruise fare. 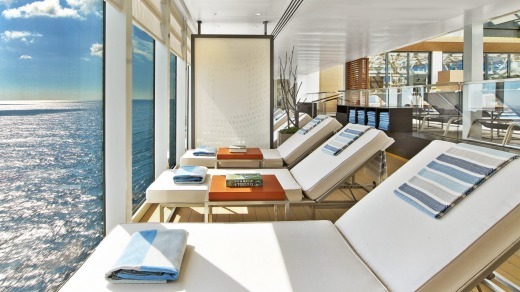 Informality is part of Viking Star's personality, and it's reflected in the decor. Children's drawings of ports such as Bergen, Venice and Lisbon decorate cabins, and the ship has an understated Nordic chic that emphasises natural products such as stone, wood and leather. Artworks – many depicting Norwegian landscapes – are subtle rather than in-your-face, but worth a second look. Public spaces are scattered with well-arranged groups of sofas that provide intimacy and a sense of cosiness. Knick-knacks, glassware, Viking artefacts and shelves of books strive to provide the impression you're in someone's home. It works. Returning to this ship after shore excursions is always a renewed pleasure and it's hard not to feel relaxed on board. Passengers curl in armchairs in the Explorer Lounge at the front of the ship; play backgammon in the Living Room; fall asleep on the loungers on the pool deck that face a sparkling ocean through vast windows. You can call in at Mamsen's for a late-night snack or snifter, and sit by a fireplace tucked under a reindeer skin and not have to worry if you slouch or put your feet up. You'll never have to wear a tie while dining; smart-casual carries you through a cruise. There's little formality in the ship's restaurants, even in Italian specialty restaurant Manfredi's, whose whopping Florentine steaks and prawn-studded pastas might merit a sense of occasion. Wisely, though, this is a venue that allows you to roll up your shirt sleeves, laugh with the neighbours at another table, and feel comfortable with the never-snooty waiters. The bread baskets are piled high for real people with real appetites. Black-and-white photos of Italian movie stars from days gone by wink from the walls. It isn't that Viking Star is casual, like an American in a tracksuit who hasn't combed his hair. You'd have to suspect that a lot of effort and European flair goes into feeling this relaxed yet looking so good. The ship's design is clever, everything is in its place and staff work incessantly to keep surfaces shining. The detailing is impressive. Legend has it that Mr Hagen even insisted on rubbish bins in cabins being square to make it easier to chuck things into them from across the room. En-suite bathrooms are just as thoughtful, with underfloor heating, de-misting mirrors and a useful pull-out clothes line on which to hang towels. If ships are like people, then Viking Star just makes you smile. You can try to explain why, but you can't explain everything by the parts of its sum. The food is good and often excellent, the crew are cheerful, the cabins comfortable, the public areas spacious yet full of intimate nooks in which to unwind. The Wintergarden ceiling looks like a birch forest in springtime, the decor everywhere is happy in blues and beige and natural light, and who doesn't like spaces scattered with quality reading material? Well, people who never read, presumably – but they're all floating about on some other ship. Viking Star has the vibe of a Scandinavian boutique hotel that might grace the pages of a magazine, but it doesn't take itself too seriously. As you ascend in the lift you might see trolls peeping from among birch trees. Birds appear to twitter in the public bathrooms. In the spa, you're challenged to tip a bucket of ice-cold water over your head before you flee yelping to the hot tub or warm pool. In Mamsen's, you're invited to try awful Brunost caramelised cheese, and you're never sure whether your leg is being pulled when told it's a Norwegian favourite. When the day is done, Viking Star doesn't transform into a party girl. This thinking man's crumpet goes to bed early, shortly after the nightly theatre show or a movie screening on the pool deck (popcorn supplied). A few passengers linger longer in the Torshavn nightclub, but if you're a night owl screeching for big bands, buzzing martini bars and slot machines then you'll be sorely disappointed. In the immortal words of Mr Hagen: "I don't think our passengers care about a casino. They'd rather have a free laundry." Each to their own, of course, but if you click with that kind of philosophy, then Viking Star is certainly the ship for you. Brian Johnston travelled as a guest of Viking Cruises.